Soufflé is one of the classics of the French kitchen, yet many shy away from making it for fear of collapse, that is sensitive and so easily ruined. It is delicate for sure, but not that difficult to make. 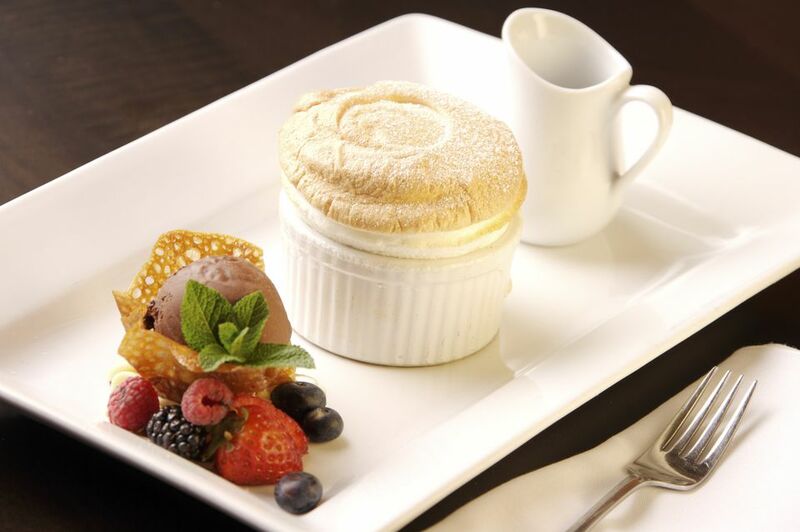 Follow these few tips on how to make the perfect souffle. This white chocolate soufflé recipe is light and airy and makes for an impressive special occasion dessert. Use red berries and citrus which both harmonize with white chocolate, whether in the form of a fresh fruit garnish or a sauce. If you're serving it for a winter holiday, be sure to enhance the soufflé's snowy mountain effect with a generous dusting of confectioners' sugar. Butter a large soufflé dish and sprinkle it with 1/4 cup granulated sugar; set the prepared dish aside. Stir together the salt, all-purpose flour, and remaining 1/4 cup plus 1 tablespoon sugar; set the mixture aside. Once the chocolate is melted, remove the bowl from heat and stir in the egg yolks until the mixture is thoroughly combined. In a separate bowl, beat the egg whites with the cream of tartar on medium-high speed until they hold soft glossy peaks. Continue beating the egg whites on high speed, add the vanilla, and then gradually add the salt-flour-sugar combination, until the egg whites hold stiff glossy peaks. Gently stir 1/3 of the egg whites into the chocolate mixture, then carefully fold in the remaining whipped egg whites. The chocolate mixture should be evenly colored and light and bubbly, without egg white streaks or marbling. Spoon the soufflé mixture into the prepared dish and allow it to rest, covered, for up to 30 minutes or bake right away for 25 to 30 minutes (slightly longer at high altitudes) until the soufflé has risen with a crusty exterior. Serve the soufflé with a dusting powdered sugar if desired. If you find you are enjoying making a souffle, try some of these other classic French recipes. This white chocolate soufflé recipe makes 6 servings.